Rakesh Sharma and Rama Murthy were Regional Sales Directors in CTM Cements. 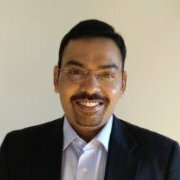 Both were part of the CTM Cements leadership team, Rakesh was RSD North and Murthy was RSD for South. Both joined CTM cements from Campus and had worked there for 32 years. Both of them were great friends and coincidentally retired on the same date, 31st Dec 2011. This is a story of 2 leaders with very distinct leadership personalities. Both Rakesh and Murthy had lots of similarities in their leadership styles. Both were driven by exuberant passion, high achievement orientation, building teams around them, driving teams for success and celebrating success with big bang parties. Both leaders commanded a lot of loyalty and commitment from their teams. When they retired, both of them got tons of accolades, huge farewell parties / dinners, people paid rich tribute to their contribution & leadership. As they stepped into the sunset, there was a new dawn awaiting them. Murthy walked away from the lime light into the shadows. He spent quality time with his family, children and friends. He engaged in his passions around photography, social work and educating the under privileged. Murthy continued to live in Bangalore and made it his retirement home. Rakesh lived restlessly in his Delhi home. He was still full of energy, his family was feeling troubled by having him at home, he often called CTM cements to talk to his erstwhile team, he felt they gave him less importance while they owed him their careers, he tried his hands at a few ventures but they did not work. He was frustrated with himself, felt not valued by people whom he groomed into leaders. It so happened that Murthy and Rakesh met at a social event and got into a conversation. Murthy was saddened to see his dear friend unhappy post retirement. Rakesh was upset about people he groomed in CTM cements ignoring him and not valuing his contribution to their careers. Rakesh asked Murthy, have you not experienced the ungratefulness of your teams in South. Rakesh stepped forward and gave Murthy a tight hug. You are my best friend Murthy!! Thank you for rekindling my “self-awareness”. Often times when one plays the role of a leader, one’s ego could get the better of the individual self. This is where being grounded by heightened level of self-awareness helps. If leaders think they are the ones who are creating the world or the eco-system around them, the thought may be partially true. It is not fully true because there are many others who are contributing and playing in sync for the eco-system to come alive. It’s not just the leader. Leadership is about giving, sharing and building. It is not about self. A leader is always as good as the team he or she builds around him/herself. … are known to be demonstrating conscious leadership. A question for self-reflection is what kind of a leader are you? Structure breeds Hierarchy - A gross misnomer?